Home :: Uncategorized :: Provisions Bakery is highlighted for Downtown Dining Weeks! Provisions Bakery is highlighted for Downtown Dining Weeks! 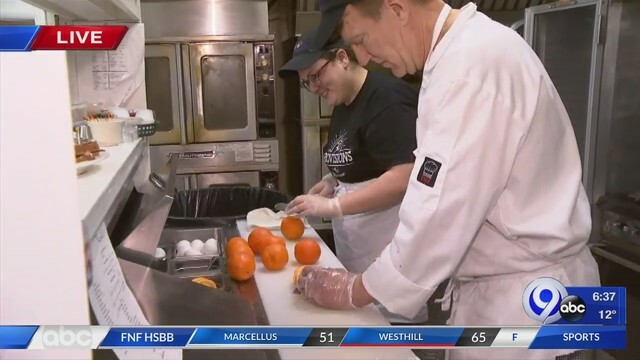 Provisions Bakery was recently highlighted by Channel9 News as part of their coverage of the 15th Annual Downtown Dining Weeks. Reporter Farah Jadran met with the bakery’s program manager Susan Catalino to hear about our three delicious specials and why operating as part of AccessCNY makes Provisions so special. We encourage you to check out the footage here!